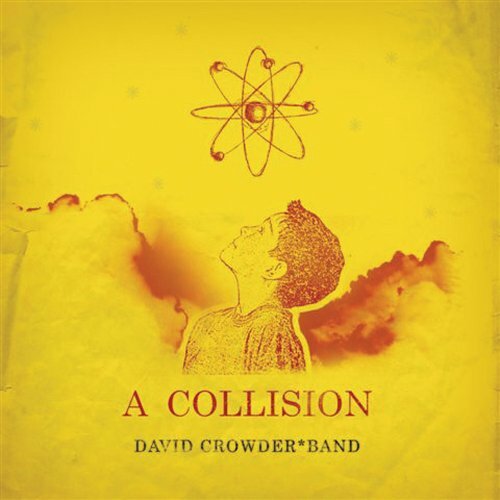 In 2005, iconoclastic worship musician David Crowder dropped a boulder into the still pond of contemporary Christian music with this 72 minute masterwork. This album is certainly the strangest, most challenging album to ever be filed under Worship at your local Christian retailer. Crowder puts his own anthemic originals up against rootsy covers of old hymns; smashes ambient instrumentals up against spoken word tracks; goes menacing minor key and peppy pop; does the blues, classical and country. In the final track we hear snippets of a phone interview with Crowder in which he comes close to articulating the idea behind the album; in classic Crowder fashion, the vocals are buried behind static and a classical recording and kind of obtuse. But he seems to be dancing around the idea that when we see God as mind-bendingly great as he is, we’ll understand that we have to use EVERYTHING at our disposal to worship Him. We don’t have the option of limiting ourselves to only certain genres or only new music or only songs of one type or another; we’re already doomed to failure when we try to capture God Himself in music, but the best effort we can make has to include everything, thrown together in that titular collision. That’s really perfectly exemplified by this album. There’ll be a straight choral rendition of an old spiritual like Soon I’ll Be Done with the Troubles of the World that goes for 45 seconds and then just crashes into the bluesy, minor key stomp of Hope Rising or Be Lifted; Hope Rising or Be Lifted is, as the title indicates, itself a mash-up which devolves from electric blues to frenzied banjo driven bluegrass at the half point. In Our Happy Home, Crowder does a faithful, haunting reading of the ancient hymn Jerusalem Our Happy Home as a kind of electronic mess. He covers Hank Williams & Sufjan Stevens. He quotes the melody of Ralph Vaughan Williams’ A Lark Ascending repeatedly. He goes from a peppy worship anthem in the traditional CCM style to a quiet violin instrumental. He’s sorrowful, exuberant, awe-struck and blown away. And, by the time the album wraps, so are we. The worship community, I think, felt the sting of the rebuke rather than embracing the joy of the experience; even the traditional worship songs Crowder did here like Foreverandever or Here is Our King failed to become standards in the way a lot of his other previous songs had. One rarely hears A Collision mentioned anymore; it was a true critical darling when it came out, but it never made a big dent with the public. As in a lot of music genres, people in the worship genre want to hear the same safe things over and over; Crowder had no interest in giving them that and he remains one of the truest artists to come out of the genre, perhaps the only one that can really resonate with secular listeners. This album is his masterpiece; there’s not a weak track on it. Time hasn’t dulled it in either shine or sharpness – it still dazzles and it still cuts. 4 stars. tl;dr – astonishing, bracing album crashes genres & styles together to create an experience like no other; one of the greatest Christian albums ever from perhaps the only true artist of worship. 4 stars.